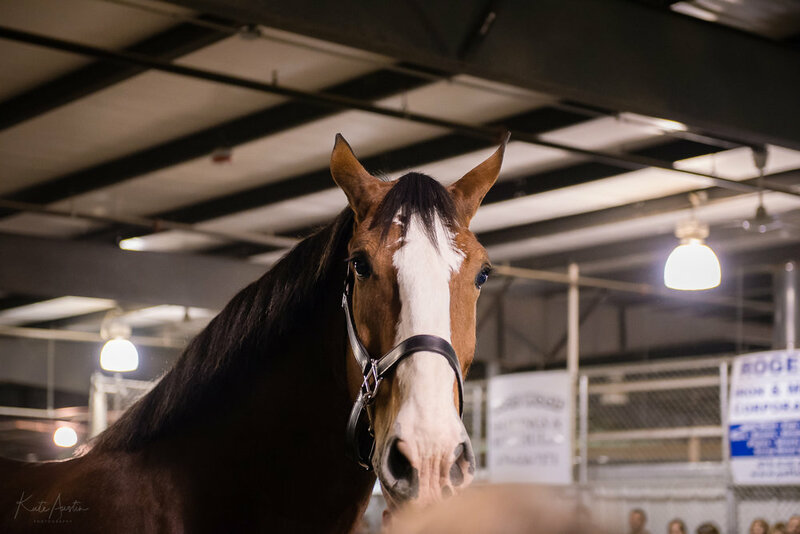 This past Saturday, David drove me up to the Benton County Fairgrounds to see the world famous Budweiser Clydesdales, who were in town as part of a special tour. I totally reverted back to my horse-crazy days the moment we stepped out of our car and saw the three 18-wheelers in the parking lot next to the arena that are used to transport the 10 horses, the stables and the wagon. And then when we stepped inside and saw the gentle giants in their portable stalls, all chowing down on their hay, I squealed like a little kid. They are so big! And so patient! And so gentle! And their hooves are gigantic! 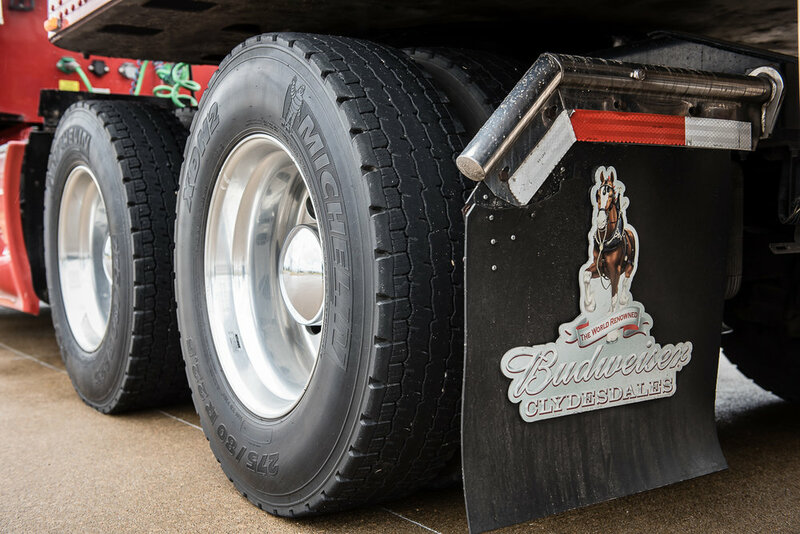 Can any Clydesdale be a Budweiser Clydesdale? 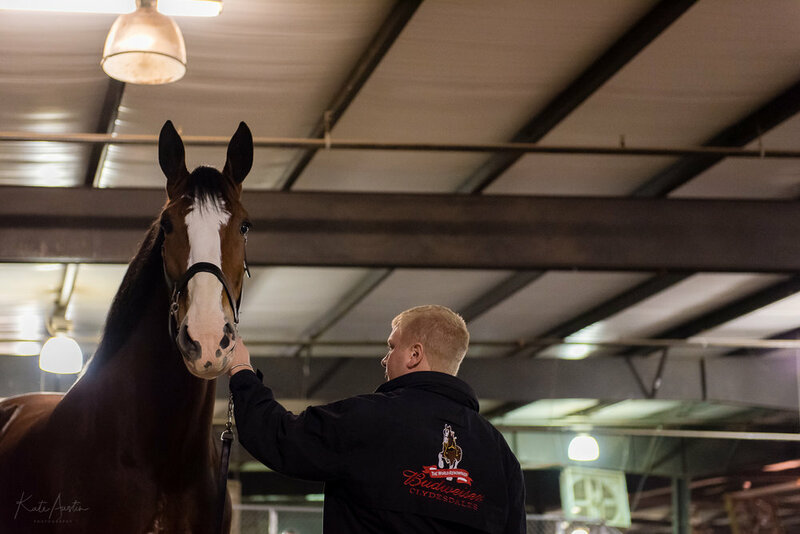 How much does a Clydesdale eat and drink? How big is a Clydesdale horseshoe? 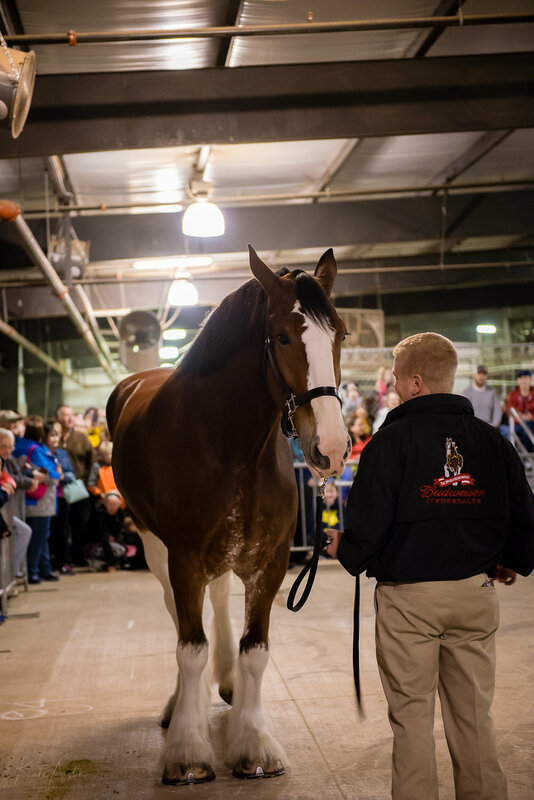 Another little fun fact that the handler told the crowd that was gathered inside the arena, all of us ogling King, the Clydesdale that was "performing" for us: All baby Clydesdales are born weighing 200 pounds! The presentation lasted for about two hours, the handler patiently answering questions from the crowd, the whole time King standing patiently himself, looking out over the crowd, his warm brown eyes watching us, his ears always twitching this way and that. Finally, it was time to form a line and have our picture taken with the giant horse, and again, the whole three-year-old horse crazy girl could hardly wait to stand next to King. As I walked off afterwards, I looked up at David and said excitedly, "They let me pet him!!" Saturday was a very good day.